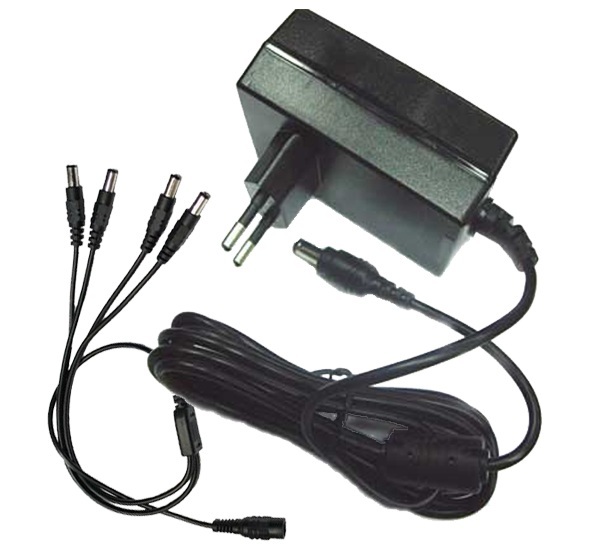 - AC-100-230V input; DC12V/1.5 output. - Built-in 1-int / 4-out splitter cable. - Support 4 pcs UTP Dome Camera power up to 300 meters transmission via Cat.5 UTP cable.